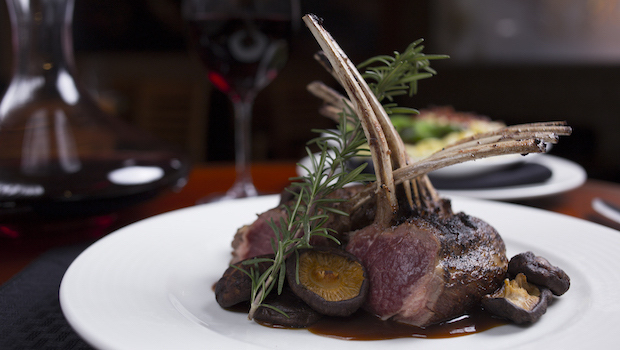 A new fine dining restaurant is now open at WinStar World Casino and Resort! We are thrilled to introduce Kirby’s Prime Steakhouse and Mickey Mantle’s. That’s right, two of our all-time favorites are joining forces here at WinStar. WinStar is always looking for ways to improve guests’ experiences, and combining these two fine dining staples was a no-brainer for us. They’re a match made in steakhouse heaven. Kirby’s Prime Steakhouse will bring its Oklahoma and Texas roots together in one location at WinStar. Their menu includes favorites like their Prime “Cowboy Cut” Ribeye, Kirby’s Fried Asparagus and Lobster Mac ‘N Cheese. Mickey Mantle’s will bring an Oklahoma City staple to WinStar. It will offer a world-class wine selection, as well as the finest cocktails, spirits and brews. They offer a happy hour every Monday – Friday from 3:00 p.m. to 6:00 p.m. with half priced appetizers and $2 domestic longnecks. The business-casual dress code and remarkable drink and dining menus at this new WinStar restaurant provide an environment everyone will enjoy. Are you still looking for a place to host a holiday dinner for friends or colleagues? Look no further. Kirby’s Prime Steakhouse and Mickey Mantle’s can help you host a gathering that will not soon be forgotten. Next time you visit, play in the casino, stay for a show and be sure to make a reservation for a night of delectable dinner and drinks. Already have a trip planned? Contact us to make reservations today! Call 580-276-1484 or send an email to WinStar@KirbysSteakhouse.com.